Mac mini Server a Steal! 'Twice as Much Memory': Typo or Just Marketing? AppleInsider's Daniel Eran Dilger reports that Apple's new Mac mini server bundle offering isn't just optimized to run Mac OS X Snow Leopard Server, it actually comes bundled with Apple's server operating system. Previously, home and small business users who wanted to try Snow Leopard Server needed to shell out $500 for the retail box version or opt for an Xserve bundle, which starts at $3,000 and requires either a server rack or a sizably awkward 17" x 30" of free space. Prior to Snow Leopard, the unlimited user version of Mac OS X Server cost $999, which is what the unlimited user version now costs with the Mac mini server thrown in for free! MacFixIt's Topher Kessler has posted a review of the new Mac mini with OS X Snow Leopard Server and two 500 GB hard drives, noting that the mini is perfect for running a small server for either the home or a small business, and many people have used them for this very purpose, but that there are two limitations for running OS X Server on a new Mac mini, the first being limited hardware capabilities such as overall computing power and support for features such as error correcting memory, RAID cards, and fiber channels, and the second the inability to boot Snow Leopard into 64-bit. "Here at TUAW, as you probably know, we really love the Mac mini. Some of us have a mini hooked up to our TV, some are used as servers, and some are used as great desktop computers (including mine). "We wanted to ask you what exactly you use your Mac mini for, so we came up with this in-depth poll. There are several choices, so let us know how you use your Mac mini." Link: TUAW Poll: What Do You Use Your Mac mini for? "As our team goes full bore on the new iMac and Mac minis, I'm sitting back a little disappointed with the new Mac minis. "Apparently it counts that they are with up to twice as much memory as before they came with 1 GB or 2 GB standard, 4 GB optional. Because Apple now has a configuration which comes with 4 GB standard, that's twice as much memory standard as had been before. "The Mac mini would be an incredible powerhouse with 8 GB, that's what twice the memory should have meant. We were excited, at first, thinking Apple taken off the Mac mini's memory restrictor plate, but alas just a marketing play on words." Link: The New Mac minis? Typo in New Mac mini Page or Just Marketing Play on Words? PR: MacMiniColo.net, a Las Vegas colocation company, has been hosting Mac minis since their introduction in January 2005, have become the leaders in this niche market and known for their personal service. They currently host more than 500 Mac minis for customers in 26 countries around the world, which must make them one of the most experienced and knowledgeable Mac mini authorities on the planet, has posted a review and setup commentary on the new Mac mini sold preloaded with Mac OS X Server. Incidentally, this has to be one of the best deals Apple has ever offered. The mini is essentially the $799.00 upscale version with a 2.53 GHz Intel Core 2 Duo and 4 GB of RAM, but with the optical drive deleted and replaced with a second internal hard drive - both HD's being 500 GB units for a total internal capacity of 1 TB, plus Mac OS X Server (which sells separately for $499) preloaded for $999.00. If you still need an optical drive, an external USB SuperDrive is available optionally for another hundred bucks. A year ago, we wrote The State of the Mac mini 2008. Take a look and you'll see that it turned out to be quite accurate. We nailed the RAM, the GPU, the FireWire, and the mini DisplayPort. We even got the Dual HDD right, even though we had quite a few people disagree with us on that. The one thing we missed was a black/aluminum color scheme. One of the more interesting bits of information in this report, which includes an illustrated teardown, is that while the Mac minis are officially sold and supported to use 4 GB of RAM, MacMiniColo.net says that with that last Mac mini firmware upgrade, they will now support 8 GB of RAM, and these new late 2009 minis already have that firmware applied. They also note that it's satisfying (especially in their line of business) to get the official nod from Apple in using the Mac mini as a server, and predicts that this new server mini should speed the adoption of Snow Leopard Server. They also mention that the AppleCare Protection Plan that covers the Mac mini with Snow Leopard Server includes server administration and network management issues using the graphical user interface of Mac OS X Server which isn't the case if you buy a mini and Snow Leopard Server separately. "Recently, I decided it was time get my wife a new Mac mini and use her older 1.42 GHz model in the living room as a TV-connected media hub. However, I discovered a flaw in my plan when attempting to re-install OS X 10.5 Leopard - the original combo (DVD/CD-RW) drive was no longer working, which is definitely a problem for Mac that's destined for use as a media center. "With four Mac minis under my care, and having upgraded the RAM and hard drives in three of them - no, I can't leave well enough alone - I decided it was time for some fun a quick repair. The calculus of this decision was easy enough as a fully functional 1.42 GHz mini goes for at least $250 on eBay or Craigslist, and a compatible slimline SuperDrive w/ dual layer support can be had well under $100." Computerworld's Seth Weintraub says that Apple's lineup has been lacking a flagship Macintosh lately, but not anymore. Weintraub notes that the Mac Pros have always been the fastest, but have a very limited appeal, but the new 27-inch iMac now is the "Mac to have", and that even with money not being an object, up to last Tuesday his dream machine would have been a Mac Pro with a 30-inch Cinema Display (or two), but that's no longer the case. The 27-inch iMac has all of the horsepower he anticipates needing for the foreseeable future, and the high-end Quad Core i7 Intel configuration with 16 GB of RAM and ATI Radeon HD 4850 graphics processor on that gorgeous 27-inch screen is as solid a computer as he can imagine. It also has most of the pixel screen area of a 30-inch display (2560 x 1440 for iMac vs. 2560 x 1600 for 30-inch SXGA) yet is smaller than a 30-inch display, and the base model 27-inch iMac amazingly sells for $100 less than an Apple 30-inch cinema display. "The more I think and learn about the curious pricing of the 27" iMac, the more bizarre and incredible it seems. "It has a resolution of 2560 x 1440, which no other monitor in the industry seems to have (that I can find). 30" LCDs are the same width but 1600 tall. Shrinking 2560-wide into a screen that's 3" smaller diagonally yields an impressive pixel density, especially given the panel's still-immense size. "It has an IPS panel. IPS is the best and most expensive LCD type, giving the best viewing angle and the least color- and brightness-shifting as the angle increases in any direction. Nearly every panel on the market, including every laptop panel, is the cheap TN type. (TN panels wash out as soon as you move your head slightly, especially vertically, which is why it's so hard to find a good viewing angle for your laptop lid while watching a dark movie.) Other 27" TN panels exist (only at the lower 1920 x 1080 resolution), but I can't find any other 27" IPS panels. "So it's a very high-specced, brand new panel that's apparently not being mass-produced yet (since no other monitors for sale are using it). That must be expensive. How much of the base 27" iMac's $1700 retail cost does this represent?" "The new iMac, built with the unibody technique, comes in two sizes, with 21.5- and 27-inch screens. It's got the same edge-to-edge glass of the MacBook Pro and will have Core 2 Duo and new Core i5/i7 quad-core options. "The other thing is, on top of Core 2 Duo configs with 3.06 GHz processors (and 3.33 GHz for special orders) in November Apple will ship quad-core Core i5/i7 chips at 2.66 and 2.80 GHz respectively...."
"I've been using an iMac in my house for years. It's become one of my favorite computers and the new model only strengthens the reasons why I've come to depend on it. "I'm using the 27-inch model with a 3.06 GHz Intel Core 2 Duo processor, 4 GB RAM and a 3 MB L2 Cache. That all adds up to power and speed, which is important whether you're a home user, small business user or even something like a professional musician." "Apple's new iMac all-in-one desktops impressed us, especially the massive 27-inch model we reviewed this week. But we're left wondering what happened to the rumored Blu-ray drive option. Playing HD optical disc content on that big 2,560 x 1,440 screen seems like a no-brainer, so we set out to see if we could successfully hook up an external Blu-ray drive." 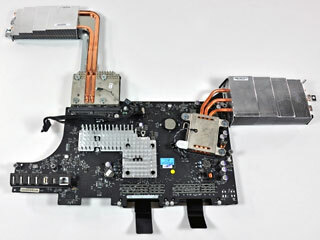 Logic board with two heat sinks. The power supply puts out 25.8 amps at 12 volts, for a total output of 310 watts (365W input, 85% efficiency). That's the biggest power supply we've seen in an iMac. The GPU and CPU are quite far apart, and they have separate heat sinks leading to opposite sides of the computer. This rather complex feat of thermal engineering allowed Apple to upgrade the iMac to use Intel's desktop line of processors. There is a WiFi antenna leading into the Apple logo on the rear of the iMac. Aside from the ports, this is the only spot on the rear of the machine that isn't solid aluminum. It's quite a clever design, and while it's an obvious place to put it, we've never seen Apple do this before. This thing is BIG. The desktop processor/GPU need three large fans and two huge heatsinks to dissipate heat. The new iMac's edge-to-edge glass can slide around. After upgrading the RAM in our iMac, we noticed the glass was slightly out of alignment on one side. You can push it back into place by hand. There's no direct line from the external Mini DisplayPort connector to the LCD. The signal will need to go through the logic board, so you'll need to have your iMac powered on if you want to display from an external video source. The 3.06 GHz E7600 Core 2 Duo processor is a LGA 775 Socket T CPU. There are some Core 2 Quad chips that use the same socket, but we don't know if they would work. The i5 and i7 quad-cores included in the high-end 27" iMac use a different socket, LGA 1156 Socket H.
"On October 23, 1999, Apple released OS 9 (codename: Sonata), and I have fond memories (well, memories) of trucking over to my college bookstore and picking up a copy. I even remember that the cover of the box was green." "Interestingly, Apple still has a support page up for OS 9." "In the run-up to the original release of Mac OS X, users were justifiably worried about compatibility. Mac OS X was a completely different operating system from its predecessors (Mac OS 9, Mac OS 8, System 7). Recent Mac OS 9 applications that had been "Carbonized" might run natively under Mac OS X, but older applications certainly would not. Were users doomed to lose access to all their older applications and documents? "I'm usually using my Intel-based Mac mini, and running Snow Leopard. But even there - even on an Intel machine, even under Snow Leopard - I can run an older Mac OS, enjoy my older applications, and read and edit my older documents, by using SheepShaver... a PowerPC emulator that runs under Mac OS X. It started life over 10 years ago as a commercial application for BeOS, but it is now open source and free, and is a clear testament to what the dedication of a few knowledgeable volunteers can accomplish...."
VirtualBox 3.08 for Mac OS X"
CTV.ca News Staff reports that according to Wired magazine editor Chris Anderson, author of Free: The Future of a Radical Price, a new book that explores the "free" phenomenon, ironically the best way to strike it rich may be to give away what you make instead of charging money for it. Anderson predicts that consumers will be able to get more and more products at no cost as companies realize the promotional value of giving things away for free. "It had to happen. When Apple decided to add quad-core processors to some versions of the new iMac, and increase the number of RAM slots, they cannibalized a lot of potential Mac Pro sales. Indeed, the vast majority of people who buy the remaining Macintosh tower computer can probably do quite nicely, thank you, with the iMac." Link: Is the Mac Pro on Life Support? "Based on pure aesthetics, Apple's new Magic Mouse is a crowning achievement for the company's design team. Sophisticated, alluring, and downright stunning, the Magic Mouse epitomizes Apple style. Getting down to the nitty-gritty - actually using the mouse to get stuff done - I found that the Magic Mouse and its Multi-Touch features work well. But it may not be incentive enough to abandon your current mouse." "The multi-touch scrolling beats any other system we've seen, but while the Magic is ideal for the long of finger, it's too darn slim for the rest of us. "For a company that pioneered the widespread use of the mouse as a computer controller, Apple has a surprisingly bad record at making good ones, particularly since the return of Steve Jobs and, with him, industrial design as the prime driver of product creation. "Magic Mouse: Apple gets it right at last?" "Learn how to install additional memory or replace the memory in your iMac (Late 2009) computer. 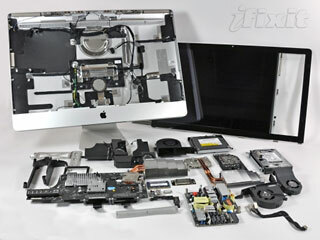 "The iMac (21.5-inch, Late 2009) and iMac (27-inch, Late 2009) computers have four SO-DIMM DDR3 SDRAM (Synchronous Dynamic Random-Access Memory) slots located in the bottom of the computer. "The maximum amount of SDRAM you install in the computer is 16 GB; a 4 GB SO-DIMM (Small Outline Dual Inline Memory Module) of 1066 MHz DDR3 SDRAM in each slot. You can use 2 GB or 4 GB RAM SO-DIMMs of 1066 MHz DDR3 SDRAM in each slot. "Note: Use SO-DIMMs that meet certain criteria. "To install memory into the bottom slot, follow these instructions...."
"Install this software to take advantage of your Magic Mouse special features. Mac OS X 10.6.1 is required before installing this update. "System Requirements: Mac OS X 10.6.1"
PR: Other World Computing (OWC) announced the immediate availability of OWC DDR3 1066 MHz Memory Upgrade Kits up to 8 GB for the new Mac mini models announced by Apple last week; as well as previously announced 2009 mini models. OWC Memory Upgrade Kits offer all 2009 mini owners the advantages of upgrade options not available from the factory and quality assurance from a Lifetime Advance Replacement Warranty and Money Back Guarantee. Add to factory installed 1 GB memory in Early 2009 mini for 3 GB. Replaces existing factory installed 1 GB memory in Late 2009 2.26 GHz model for 3 GB total. Upgrade not available as a factory option. Replaces existing memory in all 1 GB and 2 GB factory configurations and upgrades to 4 GB total. Add to factory installed 1 GB memory in Early 2009 mini for 5 GB. Replaces existing factory installed 1 GB memory in Late 2009 2.26 GHz model for 5 GB total. Replaces 2 GB in all other 2009 mini models for 6 GB total. Upgrade not available as a factory option. Replaces existing factory installed modules with 8 GB total. Upgrade not available as a factory option. OWC Memory Upgrades are fully tested and certified for compatibility with the Apple model they are designed for and as such, come backed by a Lifetime Replacement Warranty. Additional money savings are available for customers who take advantage of OWC's rebate programs for Apple factory standard memory modules and factory installed hard drives. With the rebate, OWC's 4 GB Memory Kit for the new mini 2.26 GHz model is a full 18% lower cost than the same size factory installed upgrade while a 500 GB 5400 RPM hard drive from OWC offers up to a full 62% lower cost than the same factory offered capacity/speed spec drive upgrade. OWC Memory Upgrades from 1 GB to 4 GB are also available for existing 2005-2008 mini models priced staring at $23.99. In addition, OWC also offers mini owners a full selection of 5400 RPM and 7200 RPM internal hard drive options in capacities up to 640 GB to upgrade/replace their factory stock drives. Hard drive upgrade prices start at $65.99 for a 320 GB 5400 RPM drive, $79.99 for a 320 GB 7200 RPM drive, and the maximum capacity 640 GB 5400 RPM drive upgrade is priced at $169.99. OWC's free online video installation guides make it quick and easy for anyone to upgrade their memory, hard drive, or both. PR: Other World Computing (OWC http://www.macsales.com ) have announced OWC DDR3 1066 MHz Memory Upgrade Kits up to 16 GB for the new iMac 21.5" and 27" desktop computer models announced by Apple last week. OWC Memory Upgrade Kits offer new iMac owners the advantages of upgrade options not available from the factory, cost savings of up to 56% on same size upgrades, and quality assurance from a Lifetime Advance Replacement Warranty and Money Back Guarantee. lower cost than factory 4 GB option. Add to existing 4 GB for 12 GB total memory, upgrade not available as a factory option. lower cost than factory 16 GB option, upgrade not offered as a factory option for 21.5" models. OWC Memory Upgrades are fully tested and certified for compatibility with the Apple model they are designed for and as such, come backed by a Lifetime Replacement Warranty. Additional money savings versus factory options are available for customers who take advantage of OWC's memory trade-in rebate program, which offers up to $45.00 cash back for Apple factory iMac memory modules. PR: Kingston Digital, Inc., the flash memory affiliate of Kingston Technology Company, Inc., a world leader in memory products, announced the release of the SSDNow V Series 40 GB Boot Drive, the latest addition to its V (Value) family of solid-state drives (SSD). The Kingston SSDNow V Series 40 GB Boot Drive is one of the best and most cost-effective ways to accelerate any desktop's boot, shutdown, and application load times. It is available for as low as $84.99 after rebates (U.S. only) at e-tailer Newegg.com at launch*. "The SSDNow V Series 40 GB Boot Drive offers instant performance enhancement coupled with reliability and lower power consumption at a fraction of the cost of a new system," said Ariel Perez, SSD business manager, Kingston. "The 40 GB Boot Drive is the latest offering in our V Series SSD line. It provides a low-cost upgrade solution that complements the installed hard-disk drive to extend the life cycle of existing desktop computers and workstations in homes and offices." Using the industry-standard PCMark Vantage Advanced HDD Suite, the 40 GB Boot Drive received a score of 13,883, whereas a 7200 RPM hard-disk drive attained a score of 3,708**. PCMark Vantage Advanced HDD Suite runs a series of tests such as Windows Vista startup, importing photos, adding music to Windows Media Center and application loading. The score is an indicator of how many bytes were moved per second. Kingston's SSDNow V Series 40 GB Boot Drive is designed for novice SSD users looking to increase their current desktop performance. As part of Kingston's goal to provide an easy upgrade path for first-time SSD users as well as do-it-yourself system builders, the drive is also available with a bundle that includes cloning software, 2.5" to 3.5" brackets and SATA data and power cable extenders. The SSDNow V Series 40 GB Boot Drive is designed for a desktop system to be used in conjunction with an existing hard-disk drive (HDD). A PC operating system and key applications reside on the SSD while all data such as documents, music, files and photos remain on the HDD. The Kingston SSDNow V Series 40 GB Boot Drive has an MSRP of $115.00 (U.S.) and will begin shipping on November 9, 2009. It is backed by a three-year warranty, 24/7 tech support, and legendary Kingston reliability. * Offer available for limited time only. Will begin shipping November 9, 2009. ** Test system: Intel DG45ID Desktop Motherboard; Intel Core! "2 Duo E6550 Desktop Process @ 2.33 GHz; 4 GB system memory; onboard SATA 3 Gbps with ACHI enabled; Windows Vista SP2. *** Based on internal testing. Performance may vary based on system settings. 1 Some of the listed capacity is used for formatting and other functions and thus is not available for data storage. For more information, please consult Kingston's Flash Memory Guide at Kingston.com/Flash_Memory_Guide. I've been trying this out and really like it. Fast it is - startup, in the Finder, and downloading Web pages. I really like the interface too. Mac OS X 10.5.6 or later. Google warns that the Mac build still lacks certain privacy features, and is not appropriate for general consumer use - ie: don't do your online banking with it. Decompress and drag the app to the usual place. "The latest pre-release version of Google's Chrome Web browser for the Macintosh is a little more functional thanks to the addition of QuickTime and printing support." PR: The familiar saying "Spring Forward - Fall Back" is the catchy reminder to set our clocks ahead one hour in the springtime and one hour back in the fall, November 1st this year. After students set their clocks back, Maggie Tolkin and Amy Motschwiller, mothers of college students, suggest that students go a step further and "back-up" the schoolwork files stored on computers. They also suggest parents remind their students to back-up as well. Maggie and Amy are the founders of StudentBackup.Com, an easy to use software program that guards against loss of computer data. However, they are strong advocates for students backing-up work as often as possible and by using whatever device or means available. The familiar saying "Spring Forward- Fall Back" is the catchy reminder to set our clocks ahead one hour in the springtime and one hour back in the fall, November 1st this year. After students set their clocks back, Maggie Tolkin and Amy Motschwiller, mothers of college students, suggest that students go a step further and "back-up" the schoolwork files stored on computers. They also suggest parents remind their students to back-up as well. Maggie and Amy are the founders of StudentBackup.Com, an easy to use software program that guards against loss of computer data. However, they are strong advocates for students backing-up work as often as possible and by using whatever device or means available. While computers automatically adjust their internal clocks to Daylight Savings Time and Standard Time, they fail to guarantee students the most important task of all, safeguarding the files that contain students' schoolwork. Without regularly backing-up there is always the possibility that information and work could be lost forever. If a computer is backed-up automatically and on a regular, secure basis, research papers and other important assignments can be retrieved. Not only do computers crash or malfunction, they are often stolen or lost. Unfortunately many students in high school, college and graduate school suffer academic consequences when these incidents occur. Little can console them if they find themselves in this situation. "The majority of students experience a computer failure and lose their important papers and critical work files," according to Maggie Tolkin and Amy Motschwiller. A Cornell University study they initiated revealed that 60% of college students don't back-up their computer files. "Since students are complacent about the importance of backing-up files, parents can be the ones to suggest backing-up files or purchasing StudentBackup.Com, especially when they are turning back the time on their own clocks and realize the first semester of college is quickly drawing to a close for their children. Our product automatically and remotely backs-up critical work files; it is a very simple way to have an insurance policy against the loss of term papers and other school assignments," said Amy Motschwiller cofounder of Student Backup. PR: Independent author Andrei Doubrovski announces Elements+ 1.0, his new enhancement patch for Adobe Photoshop Elements 8. Elements+ is a handy add-on that unlocks the undocumented advanced functions in Photoshop Elements featured in the latest versions of Photoshop. 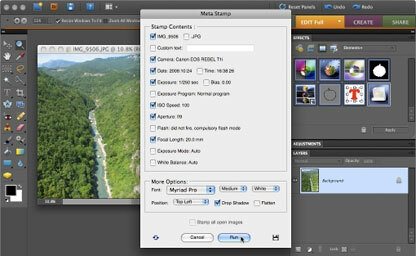 "As most people probably know, Photoshop Elements has not inherited all the essential features of the full Photoshop," said Andrei Doubrovski, developer of Elements+. "The available functions are quite sufficient for a beginner. However the limitations grow more and more frustrating as you advance. For example, why on earth we are not allowed to look into layer group or use justify text alignment mode? Fortunately, not all the missing features have been completely removed. Most of those are just stay hidden." Elements+ is $12 to download. Distribution kits are also available for all the previous versions of Adobe Photoshop Elements. PR: Arten Science announced that ooSooM is now available for free of charge for Mac OS X and Windows. ooSooM is a To-Do Management and Secure Digital Filing System. The idea behind ooSooM is simple. ooSooM does not attempt to force a predetermined methodology. It features a very free and open format allowing you to use it however you like, but with enough structure to ensure that once logged, information can retrieved easily and readily. Arten Science announced that ooSooM is now available for free of charge download for Apple Macintosh OS X (including Snow Leopard) and Microsoft Windows (including Windows 7). ooSooM is a To-Do Management and Secure Digital Filing System. The idea behind ooSooM is simple. To get on with the job in hand you need to get thoughts of what needs doing and what needs remembering out of your head and safely and securely logged, in a way that means you can find them later when needed. ooSooM does not attempt to force a predetermined 'methodology' on you, rather it's very free format and open allowing you to use it however you like, but with enough structure to ensure that once logged, information can retrieved easily and readily. One of the unique features of ooSooM is that if you have an R10Cipher license then To-Do or Vault items within ooSooM can be Encrypted/Decrypted on an individual basis. This allows you to use ooSooM to store confidential information such as Passwords, Serial Numbers, Credit Card Numbers, Bank Details Etc. If you own an R10Cipher license you have the option, on an item by item basis, to secure your information using up to 384 Bit Blowfish Encryption. Another unique feature of ooSooM is that it integrates directly with ContaX, our CRM package. This means that To-Do items and Vault items can be linked to particular Customers, Suppliers or Contacts. This link can be seen both from within ooSooM and within ContaX. ooSooM is available now and is free of charge for Personal Use. Corporation Site Licenses are available at low cost, contact us for further details. PR: EazyDraw is a design tool for use on the Mac OS X platform. Its uses range from simple technical drawings, flow charts, business communications, and commercial line art illustrations to graphic elements for application software and web design elements. Educators are also finding EazyDraw to be perfect for introducing new user to computer drawing. The newly introduced EazyDraw version 3.x provides expanded capability and an updated user interface. Version 3 has a revised and updated look and feel with new icons (all drawn with EazyDraw, naturally). A new User Interface Theme capability allows easy customization of nearly all user interface elements such as interactive editing handles and application element colors. These themes are great for adding that personal touch to your drawing application or creating themes appropriate for different drawing projects. The new EazyDraw provides expanded text capability, making EazyDraw a "suite" tool for page layout projects. Easily place text on curves, typeset at angles, flow text around graphics, link text boxes, flow text inside any shape, convert text to outlines, gradient fill characters, set tabs with leaders, and more; all easy to learn and use with the modern intuitive interactive user interface. Draw to scale, auto-dimensioning, precision numeric readout and entry, fractions with feet and inches or metric, graphic grids and guides, on-drawing tape measure, vertex and geometric snapping, advanced duplicate, spokes and gear tools, schematic cross-overs, auto numbering, math function curves, graphic axes and labels, tangents and normals, professional grade tools that everyone can use. Get your designs on paper without the "CAD" hassle. EazyDraw has all the capability needed to draw efficiently and accurately: draw to scale(s), use a grid, enter sizes numerically, wall and window tools, automatic dimensions, pattern fills, auto-number - all with with vector quality and PDF output. EazyDraw is a vector based drawing application for desk top publishing (DTP) with Apple's Macintosh OS X (Mac OS X) operating system. It is an illustration or drawing software application that offers vector-based graphics editing and creation capabilities for creating simple not-photographic drawings, technical diagrams and illustrations such as logos, icons, buttons and stylized art. With version 2.0, EazyDraw is provided as a Universal Binary. As you may know, some Macs are now powered by the new Intel Core Duo processor, while for the past several years Macs have been built with a PowerPC processor. EazyDraw has been made to run on both Intel- and PowerPC- based Mac Computers. Simply install as usual and EazyDraw will automatically run at peak performance for you Mac's architecture. If you are lucky enough to have one of the new Intel Macs, it is even more fun to draw with EazyDraw on your Mac. The Intel processor is generally 4-5 times faster than a PowerPC processor. Now, for many applications you might not notice a big difference; it may be that the application is not that CPU intensive, or the application's core technology may be a carry over from OS 9 and therefore does not utilize the new CPU's capability. But for EazyDraw users working with vector based graphics CPU speed is very important. EazyDraw is a new project, designed from the ground up exclusively for OS X (a "Cocoa" app), with no design constraints from other operating systems (OS 9, or Windows). EazyDraw is true native OS X application. Graphic exchange with other modern OS X application is quite seamless with full vector quality support for PDF. Our title bar export short-cut icon provides customizable drag and drop export to other applications. But in today's world one must exchange creative content with numerous other technologies: other operating systems, older technology applications, archive graphic files, the world wide web, and electronic publishing work flows - just to name a few. EazyDraw is the perfect solution for these interesting times. File and desktop graphics exchange with older OS 9 technology applications that have been ported to OS X can be a problem for native OS X applications. Programs like Microsoft Word, Power Point and Excel do not provide vector quality support for the PDF graphic information format, they also have limited support for transparency. EazyDraw provides file and desktop paste board support for the "Classic PICT" file format and a "Opaque Copy" option for use with these applications. These legacy file format options provide a method to include the older technology applications in your modern OS X workflow. For Web publishing EazyDraw provides export to several widely used graphic bitmap formats. These include the Windows formats of BMP, ICO and even favicon. Full support for transparency is provided with all graphic file formats that support transparency. Electronic publishing is supported with vector PDF and EPS import and export. Color space management and conversion is provided with our professionally grade Export panel for these industry standard formats. Nearly all publishing or printing companies will accept the EPS vector format for graphics and typeset text. Professionals and perfectionist avoid font problems by converting type set text to Bezier paths before exporting to EPS, EazyDraw lets you do the same with a simple menu click. EazyDraw now supports full import of AppleWorks 6, Claris Draw, MacDraw II, MacDraw Pro and PICT files. All vector information, patterns, colors, gradients, groups, layers and rotated object, are supported by the import. EazyDraw versions 3.2 and newer provide full support for OS X version 10.6 known as Snow Leopard. Snow Leopard offers several techonological advances that provide improved performance and robust operation of EazyDraw. Cover Flow lets you see your EazyDraw drawings in large-size previews as you flip through them. If you are not running Leopard yet, you are probably familiar with this view in iTunes. EazyDraw provides full support for this new way of browsing your drawings. You really owe yourself a demo of this new technology to appreciate how it is going to change your expectations when using the Finder to manage your drawing files. EazyDraw conforms to the OS X standard for presenting text content to the Spotlight search engine. Spotlight searches include text content embedded in EazyDraw drawings saved in either the xml or binary format, even if compressed. The Spotlight and Quick Look technology ties right into the new Time Machine capability of Leopard. EazyDraw drivers and ancillary file information are published to the OS X operating system and Time Machine. All of this helps maximize the organization of your drawings and projects. The EazyDraw project focuses on OS X and OS X only. As OS X continues to evolve, EazyDraw will be able to continue to make these advances available to users. EazyDraw version 3.3.0 is the follow up Snow Leopard release. This version has had extensive testing, performance improvements, and bug fixes on Snow Leopard. 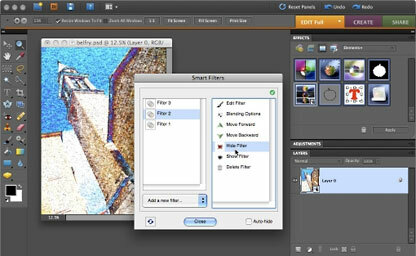 EazyDraw 3.3 is a highly recommended update for Tiger, Leopard, and Snow Leopard users. It runs native on Intel and PowerPC processors. Text Bubbles, or Text Call-Outs. 4 new tools on the Technical Tools palette. A combination graphic with all the properties of a normal text block plus the Bezier properties of the enclosing "bubble" graphic. New direct ungroup of EPS for editing. Found on the Images submenu, Format main menu. Improved PDF export with new capability to export layers as pages with optional master page. EazyDraw version 3.3 has had extensive testing on the production release of Snow Leopard. This release includes several new features and improvements: New Text Bubbles, Ungroup EPS, decorations for Walls-Ribbons-and-Roads and Additions Pack Update with expanded Network Diagraming support. Get downloaded, licensed, and drawing in no time with the 9 month license ($20) or single user license available at EazyDraw's secure online store . The download version of EazyDraw is $95. You place an order at our on-line store (Visa, Master Card, American Express or Discover) and they send you a license code. You enter the code and the demo restrictions are removed. This will all happen automatically, 24-7 anywhere on the planet, it only takes a few minutes and a credit card. If you burn the download disk image to a blank CD, you will have an installation disk that you may use to install EazyDraw on any CPU. Or you can order a nice printed and boxed CD. This is $119 and includes free shipping anywhere on the planet, priority post is used in the US and air mail post is the shipping method for other addresses. If you choose the CD, we'll still have you up and running instantly. A temporary license is provided 24-7 from our online fulfillment server, and you receive the CD in just a few days. Don't let the 9 month trial license confuse you, EazyDraw still provides the industry standard Free Demo. Demo policy limits the number of individual graphics that you may create to about 20. But you can print and save all of your work, no hassle there. System Support: The EazyDraw download is a 23 Meg Universal Binary, optimized for Intel and PowerPC Macs.